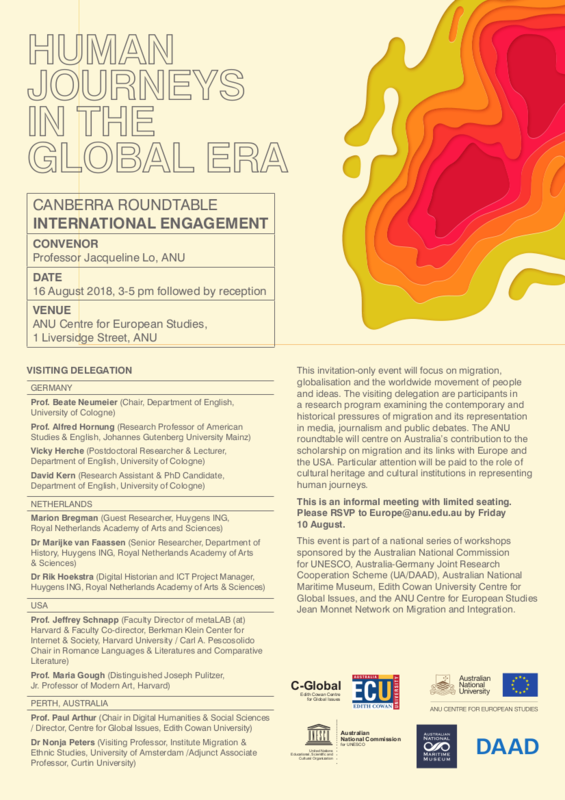 This one-day roundtable event at the ANU Centre for European Studies, hosted by Prof. Jacqueline Lo, focused on international engagements in the context of the migration of people and ideas across national and continental borders. 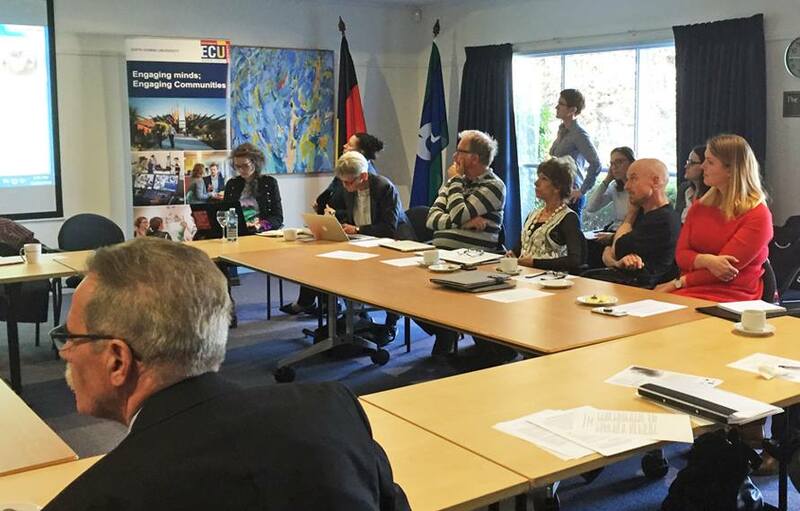 Particular emphasis was put on recent developments and their repercussions in academic and public discourse in Australia, Europe and the USA. 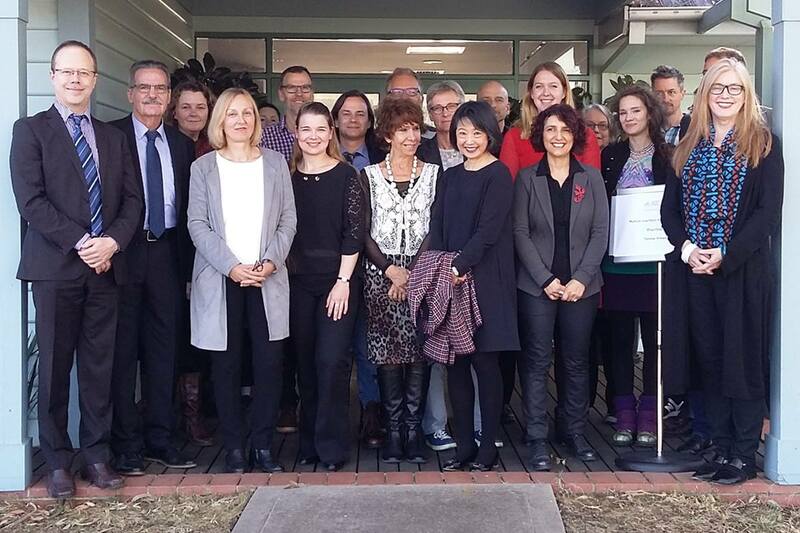 Participants included Dr. Judith Reinhard, Head of Science & Innovation, Embassy of the Federal Republic of Germany; Erik de Feijter, Deputy Head of Mission at the Dutch Embassy; and Femke Withag, Policy Officer Cultural Affairs & Public Diplomacy at the Dutch Embassy. 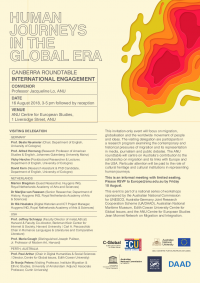 The roundtable discussion was followed by a meeting of the Centre for Australian Studies and the ANU Australian Studies Institute, please click here for this event.